1. What made you want to be a writer? The Destroyer series by Warren Murphy and the late Richard Sapir. Reading all their great stories was thrilling and made me start thinking of stories myself. That turned me wanting to write as a job instead of as a goof here and there. Not quite 30 years later, and thanks to digital self-publishing, that’s becoming a reality. 2. You have it appears to be nine book in your series, “Stone Soldiers.” This looks like a fascinating concept, having soldiers made of living stone. Tell me about that. I’m always frustrated watching movies, shows, etc and reading books where normal people struggle against unbeatable, often Supernatural creatures. One of my favorite reversals of that is the movie “Universal Soldier”. While binge-watching Supernatural, the show, a few years back, it hit me the two concepts could be combined. Basically, the stone soldiers are special forces-types turned to living stone and given superhuman strength. The idea is that they are now immune to most harm that would kill a mortal. They don’t need to eat or breathe. They don’t bleed. Nerve gas, bullets and even bladed weapons (or claws) are useless against them. But since their universe is full of magic and monsters, other paranormals also fight alongside the men of stone. And despite their durability, the stone soldiers aren’t indestructible. I hope readers get shocked when I kill one off here and there. Even with supersoldiers there have to be some casulties. 3. What’s the latest book about? Richard Murphy is a semi-retired, Hollywood PI who can see and speak to the dead–a type of character we’ve seen many times before. Murphy’s twist is that his partner is a ghost who used to be his flesh-and-blood partner. 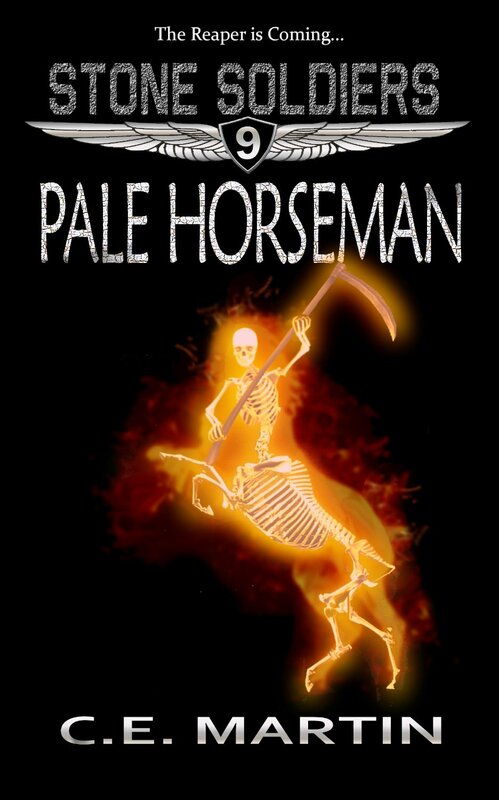 While on a job, Murphy witnesses a murder–committed by a full-blown centaur. He tells this to an online friend, who turns out to be a member of the stone soldiers’ Detachment 1039 unit. The leader of the team, an immortal soldier who’s been around since the 50s, and who represents the old-fashioned, pulp-styled characters of the past, heads West to investigate. Turns out this isn’t just a centaur with a penchant for beheading people, and the Stone Soldiers are deployed and tackle one of their toughest enemies yet. 4. What’s been your toughest challenge as a writer? Finding the time to write. I’ve got two kids and a lot of chores. Until recently, I worked full time. Now that I’ve semi-retired, I’m hoping the extra two days a week off will help me turn out more writing. Warren Murphy. He’s turning 81 next month and is still writing. He’s the co-creator of The Destroyer series, which has a blend of action, comedy and mystery that really resonated with me (#150 was released last year). His online persona and comments on social networking sites portray a guy that I could really get along with. #10 in my series, titled “A Lucky Day to Die”. It’s going to reveal a haunted Las Vegas and a scheming witch trying to control the Strip through black magic and blackmail. 7. What kinds of research do you do for your writing? Any particularly strange topics? I’m constantly researching monsters and myths and the origins of both. I also research real-world information, like calculating terminal velocity for skydivers, floorplans for buildings, and the history of places the stories take place in. Book 12 will have me revisting the Apollo program and relearning all the space program stuff I knew when I was younger. To answer your question though, every book has something strange in it, so I’m always on the lookout for the odd as potential story material. The oddest so far has to have been the Black Knight satellite I built book 5 around. Some very interesting theories there. Very X-files-like. Write! The gatekeepers lost their power when Amazon opened the self-publishing flood gates. There are readers out there looking for what you want to write, you just need to find them and actually write that story. It’s another Thursday, and another chance to check out an indie writer. While Carolyn Chambers Clark is more known for her nonfiction, she’s been delving into the fiction genres with a few mysteries. You can find out more about Carolyn at her website here: http://www.carolynchambersclark.com . 1. So what first led to you write? I’ve always been a writer and got good grades on my papers in high school and college. In grad school, we had to write a “publishable” paper. It took a lot of revisions, but my teachers were very helpful. I did get that paper published and that was such a high, I wanted to get more things published. 2. It seems you started out writing nonfiction. Tell me about that. I was a nurse working on my masters degree in psychiatric/mental health nursing and for a couple of years I only wrote about that topic, and only for nurses. When I got my doctorate, I became interested in assertiveness, wellness and self-care measures to take to keep healthy. Over the years I had more than 20 health-related books published, most of them textbooks, although a couple were for the general public, including LIVING WELL WITH ANXIETY: WHAT YOUR DOCTOR DOESN’T TELL YOU…THAT YOU NEED TO KNOW; and LIVING WELL WITH MENOPAUSE: WHAT YOUR DOCTOR DOESN’T TELL YOU THAT YOU NEED TO KNOW; THE AMERICAN HOLISTIC NURSES’ ASSOCIATION GUIDE TO COMMON CHRONIC CONDITIONS: SELF-CARE OPTIONS TO COMPLEMENT YOUR DOCTOR’S ADVICE; DE-STRESS, WEIGH LESS (co-written with a physician). You can find many of my health-related books at http://www.carolynchambersclark.com Just scroll down on my home page or look to the left and find links to my e-books. 3. When did you decide to write fiction, and why? 4. 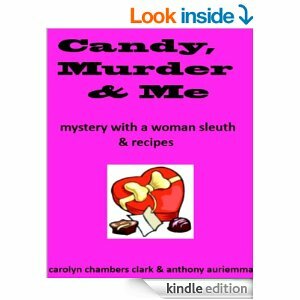 Your mystery book “Candy, Murder, and Me,” sounds like an interesting concept–a mystery book with recipes as well. How did that project come about? Many cozies today include recipes, directions for knitting or crocheting, depending on the characters hobbies or interests. I’m working on a sequel to Candy, Murder and Me as well as finishing off a young adult romantic adventure. Ross Macdonald was the one who got me interested in writing mysteries. He was a great writer and the stories are very interesting. A couple of them have been made into movies. I believe Paul Newman starred in at least one of them. 7. What kind of research do you do for your writing? I do a lot of research for all my books. With the internet, it’s so easy to Google just about anything and get the answer. I also read book similar to mine and see how they use setting or plot, so that’s part of my research, too. I’m usually working on a couple of things at a time. Finishing revisions on one while I start writing another, for example. Also, if I get stuck with one, I may go on to another. I try to write something every day. Sometimes I spend all day writing. Other days, maybe only an hour or two. I’m best in the morning, so that is usually the time I try to write something new and save later in the day for revisions or plotting. Well, this is it! 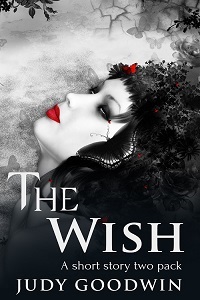 Last day to grab the short story pack, “The Wish” from Amazon for free. After this, I’ll see how the story is doing on Amazon. If I’m not seeing a lot of Kindle Unlimited downloads, I’ll likely open it up to other markets such as Barnes and Noble, Google, and iBooks. Jodi is hopelessly in love with her best friend. It seems like a harmless thing to make a wish on a Japanese tablet. But it isn’t. Especially when Uzume, Japanese Goddess of Joy and Happiness is listening. Sometimes the price for joy can be too much. Just a quick update–“The Wish” is still available for free on Amazon through August 25th. Currently it’s ranking #4 for Kindle short reads in science fiction and fantasy. Now today I’m very excited to feature Ethan Jones, writer of thrillers and spy novels. There are a bunch of links at the bottom of this post where you can learn more about him. Welcome, Ethan! 1. It looks like you’ve been writing for a while. What first led you into this career? I’ve always liked to write, ever since I can remember. As a child, I would watch a movie or a TV show and then write down how the rest of the story or a new adventure would continue. Then, about nine years ago, I read a book from a world famous author that completely disappointed me. And I thought, “I can do better than this.” So, I rekindled my love for writing. 2. What about the thriller genre appeals to you? The sense of adventure and escapism. In a thriller, pretty much everything is possible. Betrayal, justice, fear, love, hate, terror, all feelings have so much room and so many ways to be described. And in terms of research, the writer can take a lot of liberties and use his creative license to the fullest extent. 3. How did you develop your key characters in your series, Justin and Carrie? I wanted a Canadian secret agent, something you don’t see very often in the suspense and thriller genres. And I wanted Justin to be a great operative, but also a kind and gentle man. He’s someone that relies on his partner, Carrie, and a host of other associates and contacts. Justin is logical, but also hot-blooded, so there’s a clash of these two traits that result in internal and external conflicts. Carrie is a tough woman that brings balance to Justin’s character. She used to date Justin many years ago and they are now good friends. They both try to lead their personal lives along their extremely busy operational work schedule. 4. It looks like the most recent book out was “Rogue Agents.” Tell me more about that. Rogue Agents takes place largely in North Korea. A couple of Canadian Intelligence Service operatives have disappeared and they turn up in this rogue state. Justin and Carrie are assigned the task of neutralizing these two operatives, who are seemingly breaking under pressure and revealing secret intelligence to the enemy. But there is more at play and Justin and Carrie will have a difficult time preparing and executing this almost impossible mission. 5. I’m always fascinated by history such as the Cold War period. How do you think the current political situations with Russia and the Middle East are going to impact things, both real life and fiction? I steer clear of making predictions for the future, because we simply don’t know what going to happen in an hour or tomorrow, let alone in a few months of years. In terms of the fiction world, I’ve gotten a lot of ideas and I’m gathering material about these developments, mainly in the Middle East. 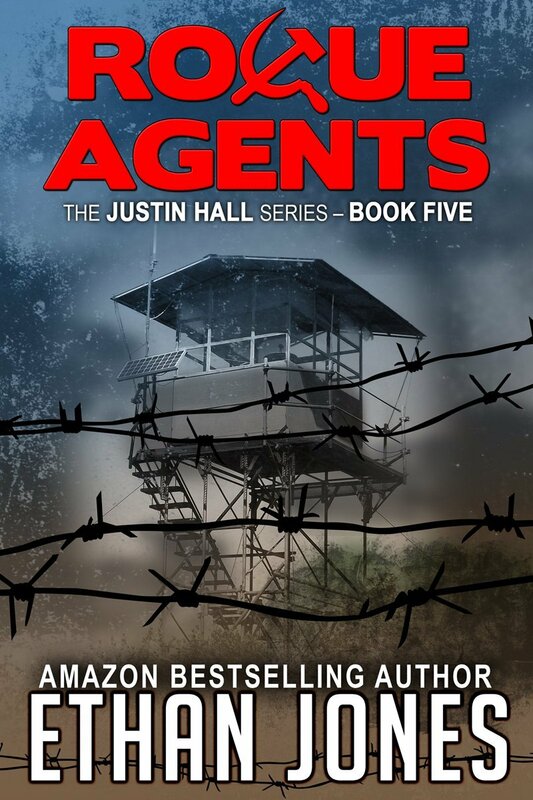 My next spy thriller in the Justin Hall series, called Shadow Agents, will focus on the Middle East, the Palestinian-Israeli conflict and the new crisis swallowing up Iraq and threatening to spread out beyond its borders. 6. What is the hardest part of writing a book? The middle. The beginning has all the excitement of a new adventure, the thrill of sending the characters in a new operation. Then, after the first fifty pages or so, I find it a bit harder to continue to storyline and the plots and subplots. I find that I need to go back and fix a few things and then do more thinking and research. I don’t have a single writer, but I like the works of Vince Flynn, David Baldacci, Brad Thor, Alex Berenson, Daniel Silva, Marc Cameron, Larry Bond, and other suspense and thriller writers. I’ve learned a lot from these masters, from how to begin the story with a bang to how to use foreshadowing, how to develop characters and how to weave together the main plot and a host of subplots. 8. What are you working on next? My next thriller is Shadow Agents. After a Mossad operation in Ramallah, West Bank goes sideways, Justin and Carrie are hunting a Palestinian terrorist cell planning a bombing at Berlin’s central train station. The course of events will take Justin and Carrie to Tel Aviv to follow their leads and find out the truth about the deadly Mossad mission and the new threat to the Middle East. 9. What advice do you have for other writers? Read and write. Read famous and non-famous writers in the genre you are writing or planning to write in. See what you like or dislike about how they craft their art, how they put together sentences and paragraphs, how their dialogue flows or doesn’t flow, how their plots are developed and how their characters cover to life. The keep those things in your mind as you write. Know the ending of the story from the beginning, then see it that the character gets there, but give him a lot of seemingly impossible obstacles on the way. Have a loose outline from the start, in writing or in your mind, and use that as a guide throughout your writing. And join KBoards to learn tricks and tips of the writing trade. 1. Welcome back! I know I interviewed you when you first released Book One in your fantasy series, The Last Dragon Slayer, Book One of the Deathsword Arc. Since then you’ve changed the covers and rebranded the series. How’s it been going? It’s been going better, but not brilliantly. People enjoy my stories, I’m happy with my story-telling. It’s the editing and proofing that is proving tough. I desperately want to make my books, all my books – error free. They are close now, but I thought book 1 was sorted, though I found a handful of little errors, and one of my regular reviewers suggested book 2 has some comma use, issues which I need to look into. Sales are up! I just did what will probably be my final Kindle Countdown Deal on books 1 and 2 at the same time. My author rank went below 1000 and I sold nearly 100 books in just a few days. It’s a hard game, writing and publishing yourself. The hardest part for me is definitely the editing and the selling – the writing is easy. 2. I understand that Book 3 will be coming out soon. Tell me about that. I wanted to get book 3 out before I went on holiday. I uploaded it just before I drove down to the ferry! It’s longer and more complex than the other books. It’s been a real battle to finish and keep out consistency issues. I wanted to release it during 2013, that’s how overdue it is. I’m really happy with the finished product. I think it’s close to error-free. I think it’s a great development to the series. 3. I recall you going through a process when selecting the new covers. How did you find your artist, and what was the process like? It’s been great Isis has been helpful and positive throughout. You need to develop a relationship with your artist, a working relationship. It isn’t easy and I suspect sometimes it isn’t possible and you need to walk away and find someone you can work with. Isis is brilliant, I envisage giving all my book covers to Isis Sousa in future. 4. What would surprise your readers to know about you? Despite being a left-wing liberal, who is pro equality, pro LGBT rights, pro gender equality etc… I am a complete petrol head! Despite wanting to protect the environment, my dream car is probably a 900 BHP 5.8 Litre twin Supercharged Ultima GTR. I can’t help it, I have a deep, deep loathing of boring, sensible cars. I don’t have the money for these sort of cars, I drive a diesel Toyota MPV… When I do have some spare money, I’ll get something silly, a completely mad, impractical, thirsty car and I will love it to bits! 5. What kind of research did you do for these books? There are a lot of historical snippets in the books. I’ve read a lot over the years, I try to read a broad spectrum of genre and have always had an interest in history. Most of the research for these books, or at least the hardest research has been ensuring the timeline works. I have characters who are only in their twenties and I have characters that are over a thousand years old. It’s tricky making everything make sense! 6. What will you be working on next? I have a big idea, for a sci-fi come urban fantasy Angels and Demons series. It will continue the anti-religion theme I touch on in Deathsworn Arc, but in a different way. The concept is big, I need a lot of time to get my head around it. 7. What new insights have you gained since last year? I’ve learned better how to write blurbs. It’s very tempting to write a brief synopsis as a blurb – readers don’t want that. They want a sales pitch! They want something which screams ‘buy me!’. I haven’t mastered blurbing, but I’m much better now than I was twelve months ago. My books are also far better edited and I will never give up on editing and revising until I am 100% sure 100% of all my books are close to perfect. They are close now – but there are still a handful of errors in book 1 and possibly a couple in book 2. They will be fixed soon though! Then I will re-read and check again. At the moment I think it’s something like an error rate of < 1 in 90 pages. I find editing hardest. 8. If your characters could go on a vacation in our world, where would they go, and why? Hmmm, interesting question. Somewhere peaceful, they have a harrowing time in Torea, and things only really get worse for them. It’s a dark, dark, grim series without any fluffy unicorns. I think they’d steer well clear of Mecca, Jerusalem and Vatican city though. The characters don’t tend to get on well with the religious establishment in Torea! Blurb: Jodi is hopelessly in love with her best friend. It seems like a harmless thing to make a wish on a Japanese tablet. But it isn’t. Especially when Uzume, Japanese Goddess of Joy and Happiness is listening. Sometimes the price for joy can be too much. Outside a cool breeze blew through the trees, but my skin felt hot to the touch. I kept trying to come up with an excuse—he probably didn’t realize just how offensive his comments were. But nothing could take away from the fact that he wasn’t right for her. Roger didn’t understand me, and he didn’t understand his fiancée either. I clenched my fists until my short nails dug into my skin. The pain was a welcome distraction. The sound of paper rustling caught my attention, and I turned to look at a massive Japanese maple tree with a dozen or two little white papers dangling from its branches. The prayer notes, I thought, recalling Tanya’s excitement about the tradition. I wondered if the little papers were from others attending her wedding, or if they were remnants of another ceremony or wedding. It didn’t really matter. Each little rustle, each little scrap swaying in the wind was a plea to a higher power, asking for help. I found myself walking over to the little wooden table where pens and paper were neatly laid out and held down by smooth river rocks. The guests would probably do them while they waited for the ceremony to begin, but I would be busy tomorrow, helping Tanya into her wedding gown. So what if I filled out my prayer a day early? My need was urgent. If I got my wish, this wedding wouldn’t even be happening. I took one of the small squares of paper and a thick felt pen—the type for writing calligraphy or kanji, I realized. My handwriting was never going to do this justice. What did I want, exactly? What was my wish? I took a deep breath, letting it out slowly. I knew what I wanted. The truth was I was afraid to ask for it. My hand shook a little as I wrote: “I wish my best friend would love me the way that I love her.” A simple wish. I wasn’t even wishing for something bad to happen to a certain lughead. I held the scrap of paper gently, blowing on it to dry the ink. It was a silly wish. Why even bother to hang it up? And yet I found myself reaching for the red ribbon, pulling it through the punched hole in the paper and tying the knot. A gust of wind blew through the temple courtyard behind me, and I heard the rustling of leaves, and of the other wishes. They were almost done with the rehearsal. I needed to hurry. I approached the tree, trying to decide whether to hang my wish among the branches already holding several dangling papers, or pick my own branch. It seemed like it would be better camouflage to group it with the others. What if Tanya started reading some of them? It wasn’t signed, but I worried she might recognize my handwriting. Genre: Dark Fantasy? Sci-fi Western? It sort of defies genre. Typically I like to pace myself when reading, because I don’t like to get through a book too quickly. I like spending the time in a book’s world. Typically, I don’t have a problem controlling my pace. Alas, however, Stephen King likes to throw me off. I find myself reading more quickly and more pages per day in order to find out what happens next. And this is why I so love Stephen King as a writer. This book made me laugh out loud, not because of any particular humor in the book, but because the fourth wall was not only breached; it was shattered into a million pieces. I can’t say I’ve read too many examples of a writer writing himself into a plot, but yep, King went there. And it made me smile to have him poking fun at himself, highlighting his weaknesses and fallacies including drinking and his New England ways. I continue to love Roland, Eddie, Jake and yes, Susanna too, although I suspect she may not be long for this world. But since the book ends on another sort-of cliffhanger, I had to go immediately get the final book in the series. I always considered “The Stand” to be King’s finest work. But this one just might top that. We’ll see.